What are your go-to content marketing metrics? That’s one of the toughest questions for marketers to answer, and one I heard repeatedly at both Content Marketing World and Cannes this summer. 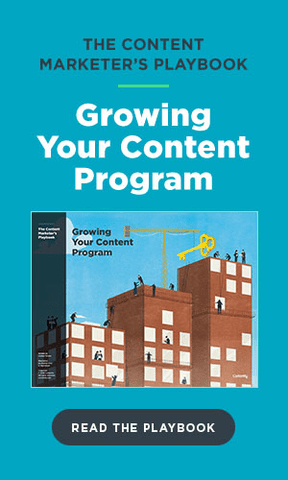 When I asked Ann Marinovich, SVP of Content Strategy and Partnerships at Forbes, at the Cannes Lions Festival of Creativity, she was adamant that one of the best things any marketer can do is have a firm understanding of who, exactly, looks at your content. To hear more of Ann’s insights, watch the short clip below, which was created for our Accountable Innovation Series in partnership with Magnet Media, an industry-leading global strategic studio. Joe Lazauskas: Hi, and welcome to Accountable Innovation at Cannes. I’m Joe Lazauskas, the editor-in-chief at Contently. I am joined by Ann Marinovich, the SVP of content partnerships at Forbes. Ann, thanks for being here. Ann Marinovich: Thanks, Joe, this is great. Joe: Rosé all day. We have you in the hot seat, which is both figurative and a little bit literal because it’s about 90 degrees outside here. Are you ready? Joe: A big focus here at Cannes has been programmatic going native. Do you think this a good idea or a slippery slope? Ann: I think it’s a good idea if it’s used in a larger media mix and distribution plan of content. I think there’s a place for a lot of different types of content distribution for content. Where I think programmatic native is really interesting is this concept of intimacy at scale. Native content is really about creating that relationship with a target audience through storytelling. If you can find those people through programmatic channels… that’s a great way of connecting with people. Joe: What are your three go-to content marketing metrics? Ann: I actually would bucket my favorite metrics for evaluating ROI in a couple of different ways. The first, which I think is so important, is around quality. I think what we’ve seen in the industry over the last couple of years is the performance metric for native content was always pageviews, but pageviews don’t really matter if you’re not reaching the right people. Really understanding who is consuming the content—if you’re an enterprise technology company, it’s more important to reach 5,000 IT decision-makers who actually are in market to buy your product versus 500,000 stay-at-home moms who are never going to be purchasing your product. Making sure that you understand who you’re reaching, that it’s the people that are actually going to be in market for your product, I think is the most important metric. Then second is engagement. I love looking at things like engage time, scroll depth–how deep into an article people are reading–scroll velocity, and really making sure that people are not just skimming an article but they’re engaged with it, they’re hearing your message. Actually, that’s two. But those are my favorites. Joe: Those are some of our favorites, as well. Who’s your favorite brand creating content today? Ann: That is probably a $50 million question, right? I think that so many brands are creating amazing content. It really depends what industry that you’re in and what your campaign and your objectives are. To me, what has been the amazing shift since we launched BrandVoice seven years ago is now marketers are really thinking about a content strategy. That’s what I think every marketer who is actually looking holistically at their organization–where the content stories are and how that all fits together–are doing, I think, a great job. Joe: Yacht party or street party? Ann: Yacht party. You can have a street party anywhere, but only in Cannes can you have an amazing yacht party. Joe: Or rosé this good. Thanks so much for joining us.